From 1 July 2018, there will be significant changes to the National Immunisation Program (NIP) schedule and we are keen to ensure you have access to the information you need to implement the new schedule. Changes to the childhood immunisation schedule aim to improve protection against meningococcal, pneumococcal and Haemophilus influenzae type b diseases. at 2, 4 and 12 months of age, children will receive a pneumococcal vaccine (instead of at 2, 4 and 6 months). Note that at risk children and Aboriginal and Torres Strait Islander children living in Queensland, the Northern Territory, South Australia and Western Australia will continue to receive 4 doses, at 2, 4, 6 and 12 months of age. Educational and promotional communication resources for vaccination providers and consumers to support awareness of the schedule changes are now available. Hardcopy materials, accompanied by correspondence from the Chief Medical Officer, have been mailed to vaccination providers around the country. The resources are also available for download or order online through the Department of Health website health.gov.au/immunisation. learn about the new schedule so that you are able to explain the changes and administer the new schedule correctly. promote the new schedule by displaying the program posters and materials in clinics. administer the dTpa vaccine to pregnant women. You can administer the vaccine to pregnant women early in the third trimester as soon as it is available to you. continue to promote free influenza vaccines to pregnant women. Promotional materials for influenza vaccination are also available through the Department of Health’s website health.gov.au/immunisation. 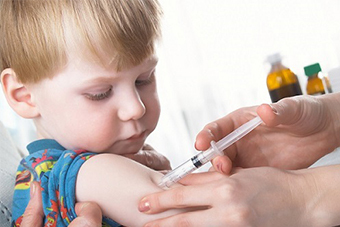 report vaccinations to the Australian Immunisation Register (AIR). Make sure you report all vaccinations to the AIR. Adult vaccines can be recorded along with child vaccines in the AIR. To view the updated schedule, via Sydney North HealthPathways, visit Immunisation – Childhood (Age < 10 Years) – or contact healthpathways@snhn.org.au for access details.